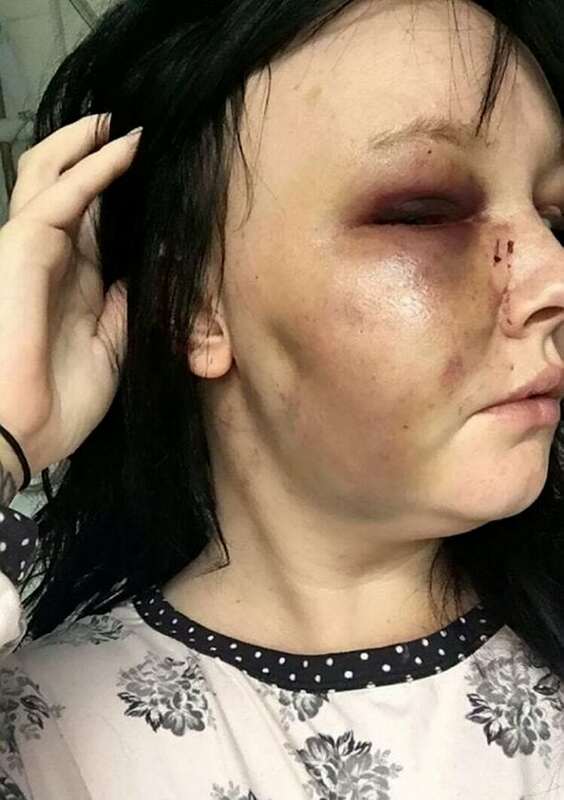 A domestic abuse victim has bravely spoken about the violence she suffered at the hands of her evil ex-boyfriend and released shocking pictures showing the extent of her injuries. Simone Dyche, 24, was repeatedly punched in the face by vile William Coulter, 30, before he almost drowned her by holding her head underwater. 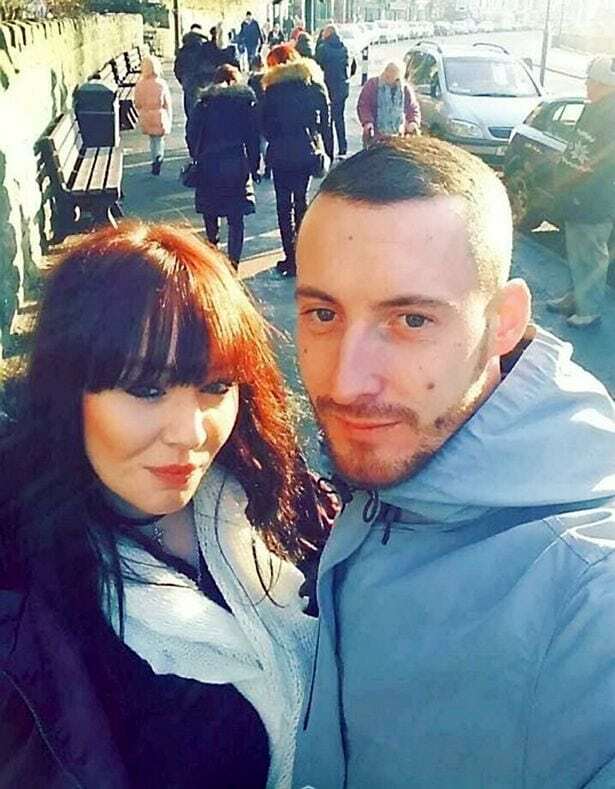 The controlling thug brutally attacked his partner on four different occasions after flying into drunken rages because he was jealous of her going out with her friends. Horrific pictures show the housekeeper with bruises across her face and a swollen eye following one assault where she was kept hostage in his flat for four days afterwards. Simone has now courageously spoken out about her ordeal in a bid to warn other women about becoming trapped in an abusive relationships after Coulter was jailed for his crimes. Simone, of Chaddesden, Derby,said: “I want people who are suffering in the same way that I have that there is a way out, you can beat the cycle of abuse. “It has only been a few days since he was sentenced but I already feel so much better. 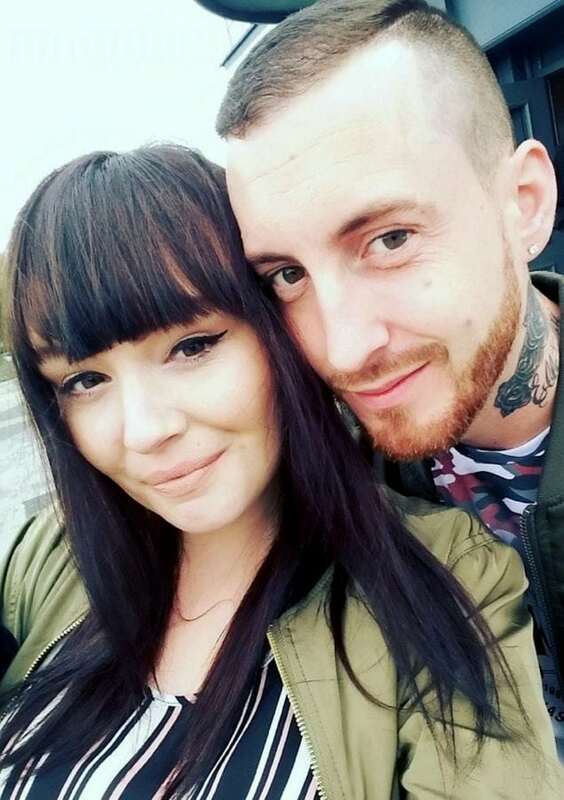 The pair first got together in May last year but the refuse collector, who lied to Simone about a jail sentence for similar domestic offences, soon turned violent. 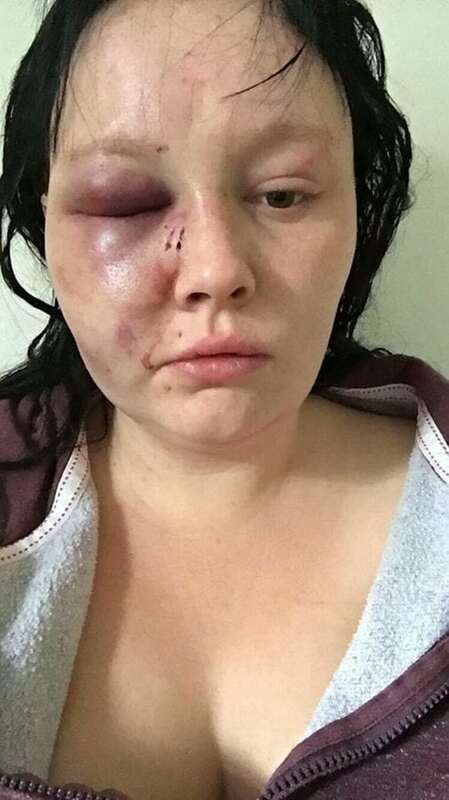 On March 20, following a meal out with family to celebrate Mother’s Day, the thug pinned down Simone, punched her across the face and left her with severe bruising. However, Simone gave Coulter another chance in June after he was released on bail, and he unleashed his most violent assault on July 27. After repeatedly smacking the mum and nearly drowning her, the sick boyfriend prevented her from escaping until July 31. 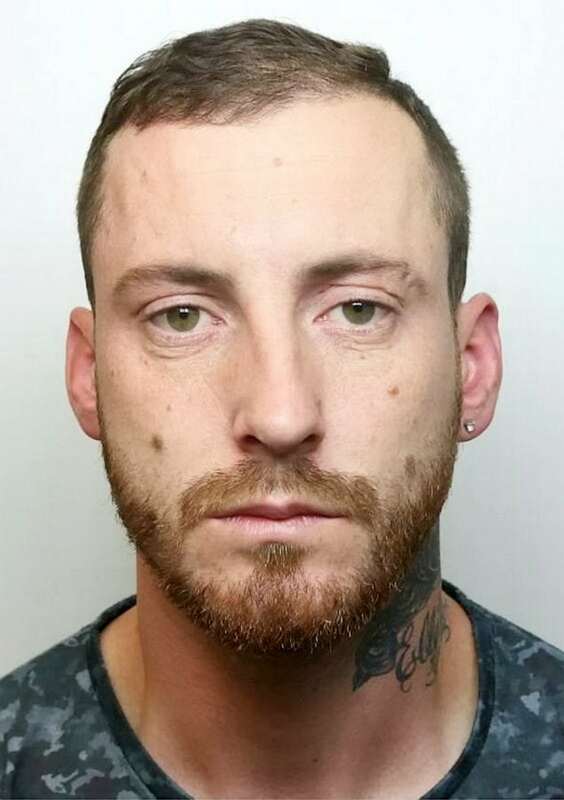 Coulter, of Alvaston, Derbs., pleaded guilty to three counts of common assault and an assault occasioning actual bodily harm at Derby Crown Court. He was jailed for 26 months last Tuesday 22 August as an emotional Simone watched on from the public gallery. “We got together on a night out, and I believed that he was the man for me straight away. “I had no idea what was about to happen to me or that he had a history of assaulting his former partners. “He was Will, he was lovely, I was so in love with him, but then, one night I got back to his old place in Alvaston and things turned violent. “We had had arguments before, but I never got an inclining that he would become aggressive. “It was on March 20, after he’d got jealous about me trying to go out with some friends. “He’d been drinking, which he always did before he hit me. “He started calling me ‘a slag’ and then suddenly threw me on his bed, got on top of me and started punching me to my face. “I just remember being so shocked at what was happening, I was kicking with my feet trying to get him off. “He suddenly got off and stopped straight away and burst into tears saying how sorry he was. “Sadly for me I just believed him and thought that would be it but it wasn’t. “He was incredibly manipulative, in that respect. He knew that I couldn’t bear to see men cry, and he used that to his advantage to make me feel sorry for him. “I know people will read this and think I was stupid and I accept that, but I was so in love with him I believed he might change and stop hurting me. “It was almost the exact same thing again, I had tried to go out with friends and he had been drinking and got jealous. “Again, he threw me down on the bed and started to punch me. “Like the last time, I had a black eye and bruises to the side of my neck. “After a while, I just got used to having to conceal my injuries from my friends and family. “I would wait a few days for the bruises to die down a bit, and then use make up to hide them. “Of course, I was being stupid by staying with him, but I was head over heels in love with him. “Every time he did it, I believed he would that he would grow and change. “After the third assault on May 19, I had no choice but to go to the police. “We’d been watching a film together, but started arguing over something silly. “I tried to leave him there and then, but he pinned me down and started punching me until I was out cold. “He put some scissors to the end of my throat and told me that I had to stay with him. Coulter was arrested and bailed, only for Simone to get back with him in June. She added: “I knew it was a mistake, but there’s nothing you can do when you’re in love. “We went bowling together on July 27, but, again, he started to drink and become aggressive. “It followed the same pattern as the other attacks, he pulled me to the floor by my hair, got on top of me and started punching me to the face. “He beat me unconscious and I remember coming to in a daze and him dragging me into the bathroom. “He told me to wash the blood from my face as it was pouring down but because I still felt dazed, I wasn’t quick enough for him, so he filled the sink with water and plunged my face down in it. “He pulled me back out after around 30 seconds and said to me ‘you’re not getting out of this alive, I’m going to drown you, this is the end for you’. “I just thought to myself ‘I’m going to give up fighting, I’m going to die’. “Eventually he went to go and get a bottle of cider, and I managed to talk him down. “But he was so controlling of me, and kept me in his house for another four days, without access to my phone. “He was moving flats on July 31, and I told him that it would make sense for me to go home while he transported his things. Jailing Dyche, Recorder Martin Butterworth said: “It is a tragedy that she encountered you in her life, you trapped her and manipulated her.